I loved Girona. We were at a quiet, residential end of the old town. The Xantar Bar became our “go to” spot. It was on a square where we enjoyed watching families gather and children play while adults enjoyed a drink. 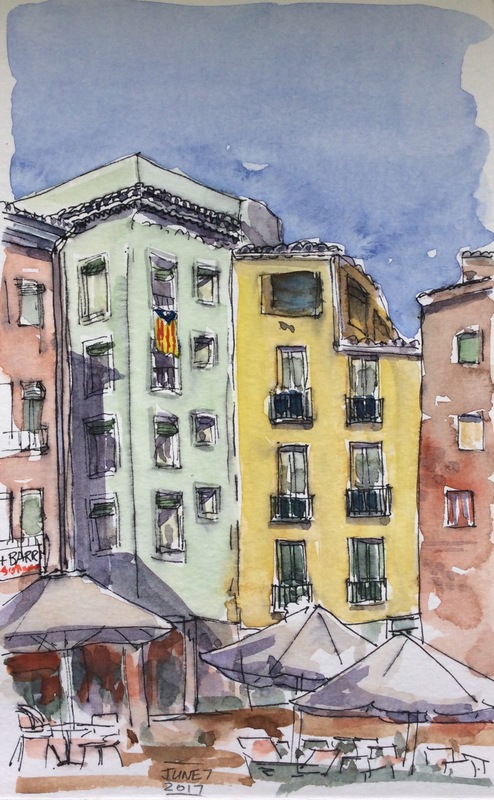 There were many Catalan flags on display in the city as well as banners denouncing the conversion of residential apartments into tourist flats which is impacting access to affordable housing for locals. 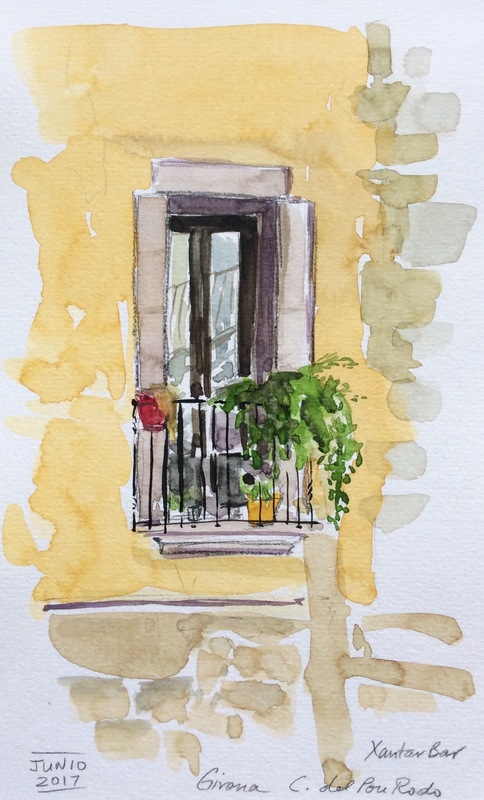 Previous: Previous post: A quick thank you note I did for our hosts in the Spanish Pyrenees. The cherries are from the tree in their garden. Delicious!